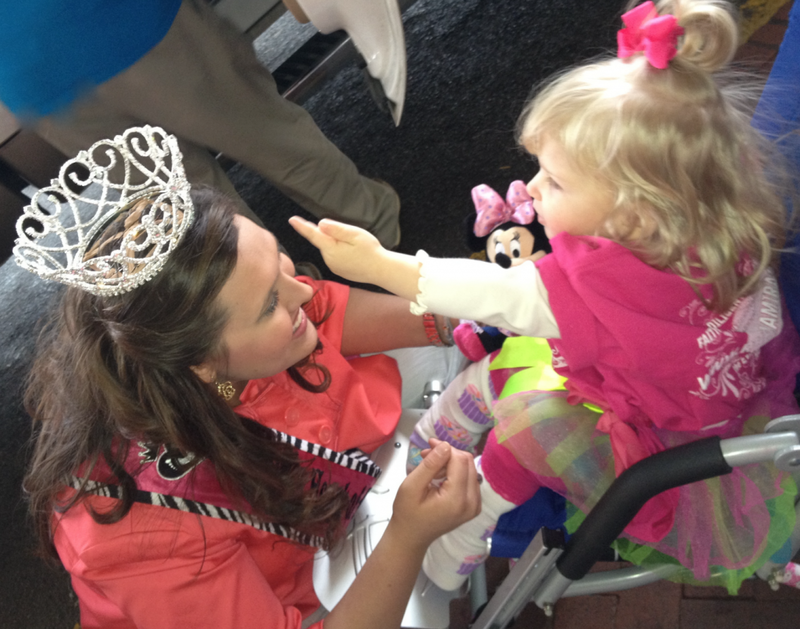 Miss Heart of Alabama, Meet Our “Heart”- Rhema…. Miss Heart of Alabama, Jocelyn Parish, was one of the two special guest we had accompany us on our Wagon Outreach day at Children’s Hospital! Rhema loved the sparkly crown and kept saying she wanted to “HOLD IT!”. Yep, she’s already loving “bling” and is ALL girl! I’ve got some many wonderful pictures and stories to share with ya’ll from our Outreach Day! I will be posting as much as I can over the next week and cannot wait to share all that God has done!!! We are delayed on this first post because we “swam” back home through all the dangerous storms that continue to roll through the south-east region; we even were delayed a day due to the weather. So, as time permits I will post more tomorrow! Blessings to you all and have a wonderful night!